I am unable to update Windows. When Windows Update tries to run, I get an error message that has a "Fix issues" button. Pressing that brings up a process that eventually gives the error message, "We couldn't update the system reserved partition." It turns out I didn't have a System Reserved partition. I figured it might work to create it, so I did, using Option 1 from this link. 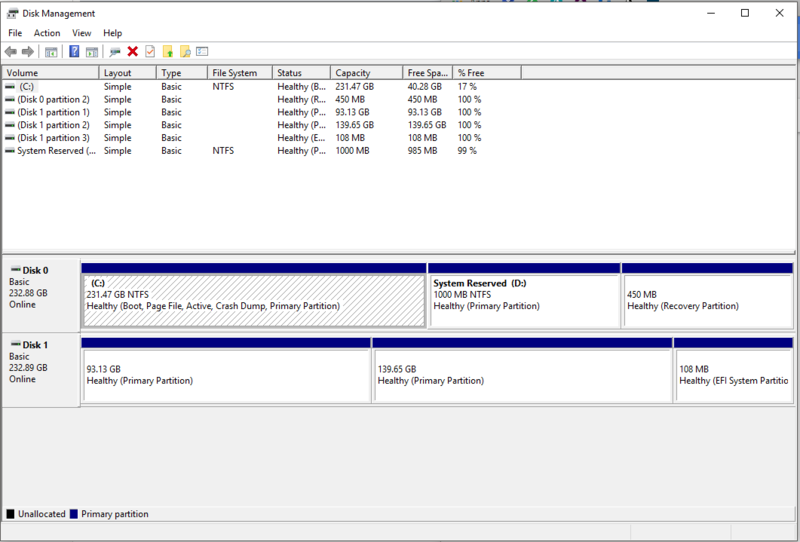 Now my partitions look like this, but I still get the same error as above. Most of the information surrounding this error refers to increasing the available space on the System Reserved partition, but as the screenshot shows, there's plenty of space on the partition. How can I debug this update error? The error message is correct : Your System Reserved partition is not large enough. Your partition has 200 MB, but for Windows 10 the recommended size is 500 MB. 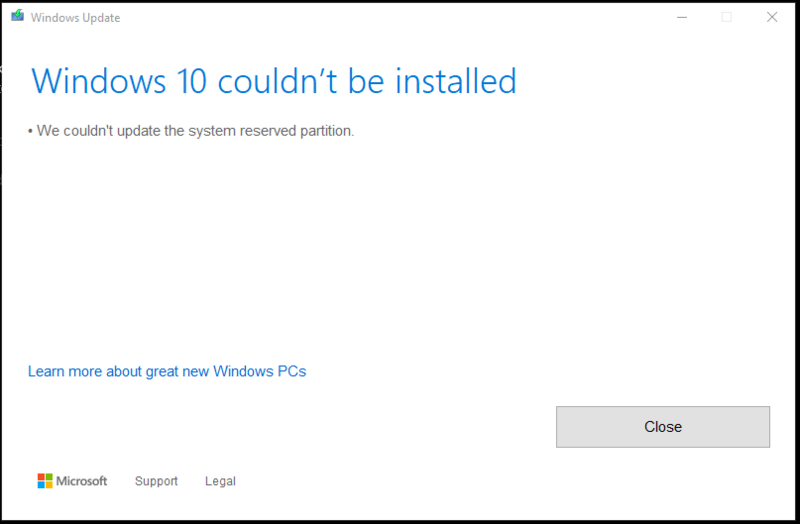 If this does not work, I think that the System Reserved partition you created manually is not used because of the way in which the disk was partitioned and Windows installed. The simplest solution would be to delete the System Reserved partition, then do Startup Repair. If that doesn't help, then I can only think of Repair Install Windows. On my 10 PC (which was updated from 7), the system reserved is the first partition on disk 0 (may not matter) and has attributes in Disk Management of Active (like yours) but also System and Primary. This may be vital. 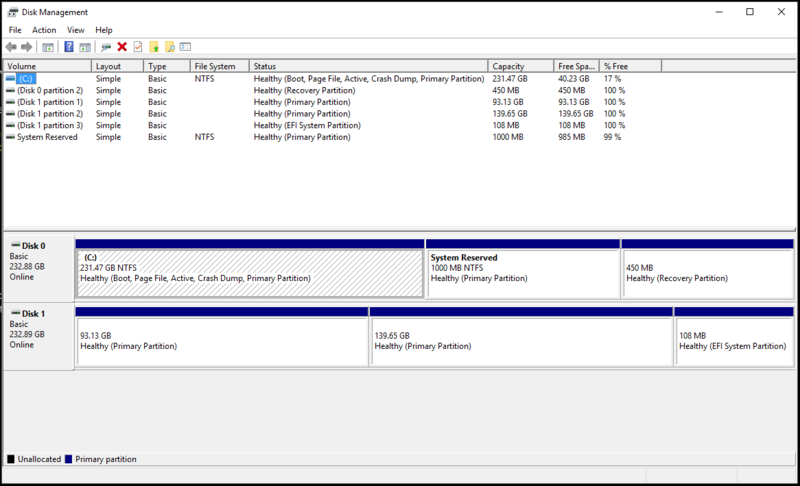 Setting the partition as active is done by right clicking it in Disk Management and choosing the option. 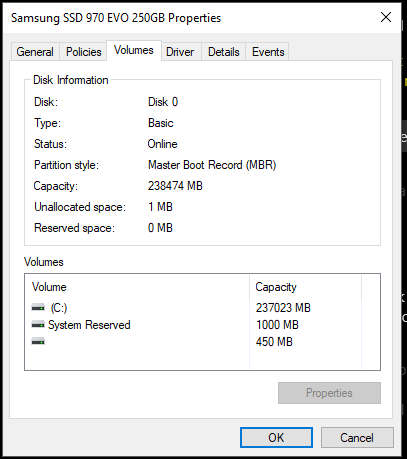 Putting the boot information on the reserved partition and marking it system (Microsoft switched the terms for some reason) is more involved. It is late here, but I will return if that is needed for it to work. Not the answer you're looking for? Browse other questions tagged windows-10 partitioning windows-update or ask your own question. Can I fix the MBR using a 1 year old MBR Backup? How can I move my partition in GParted? 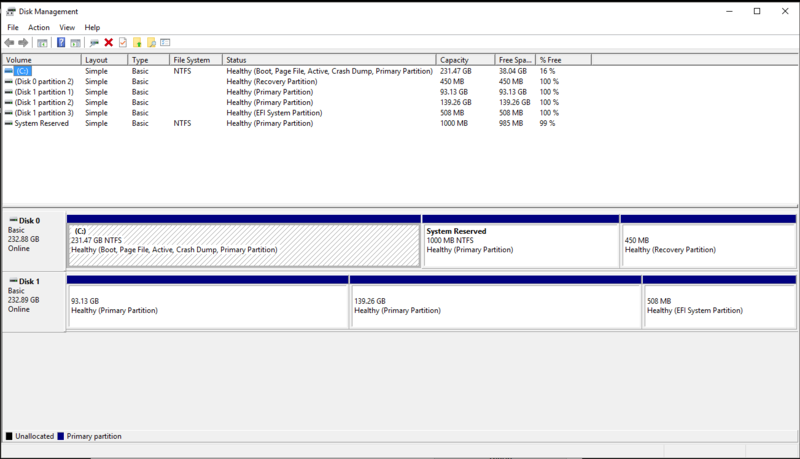 How to avoid issue with windows 8 system reserved partition? How should I check if I have the 100MB Reserved Partition on my Windows 7? What will be the partition order after deleting C and System Reserved only during Windows 7 installation? Is it possible to perform an update to a Windows partition without manually booting into the partition?